Quartz Crystals, Oscillators, Filters | FCD-Tech B.V.
Low Phase Noise OCXO oscillator. Frequency range of 10.000 MHz to 40.000 MHz with stability up to +/-50ppb with tuning option. Output logic: HCMOS or Sine Wave. 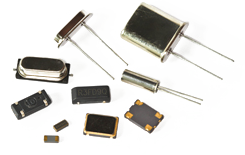 The crystal oscillator range is covering types from standard specification up to custom designed oscillators to meet the requirement of the application. 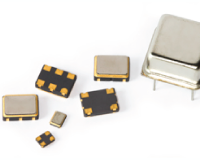 The FBT0503 is a digital compensated miniature High Stability SMD TCXO (5x3.2x1.9mm) with low Phase Noise and low RMS Jitter. Output options: Clipped Sine Wave and HCMOS. Through hole and SMD packages with various tolerances from standard consumer types till tight tolerance specification with Military or Space qualification. Beside the standard Crystal Filters for 10.7MHz, 21.4MHz and 45MHz MCF, we offer also custom designed Crystal Filters for many different applications from consumer till use in military environment. Beside custom designed Microwave Products, FCD-Tech offers a range of specific units as module or for use in 19 inch standard rack. Our portfolio is covering Down Converters, Up Converters, Multi Couplers (for L-, S-, C-, X-, Ku-Band), Amplifiers (LNA, Broadband, Dual Channel), Combiner / Splitter, DLVA, Oscillators (Dual PLL Synthesizer, PLDRO), High Power Limiter and IF Switch Matrix. 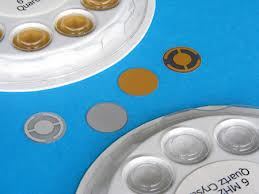 A range of quartz crystal sensors to measure mass, temperature, force and pressure with a high precision. Measurement of mass with a Quartz Crystal Microbalance for thin film coating we supply several types of Monitor Crystals and test equipment. 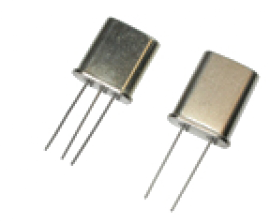 Quartz Resonator Temperature Sensor and temperature controllers for high precision registration. The Force Sensitive Quartz Crystal and Quartz Pressure Crystal are high performance parts to measure with a high accuracy. The products mentioned on this homepage is just a general overview. If you have any question or inquiry request contact FCD-Tech by sending an email to sales@fcd-tech.com or use the ‘Contact Form’. 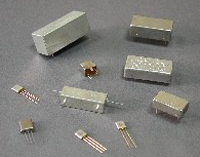 A full range of SMD, Through Hole Crystal types with various frequencies and tolerances. FBT0507 Stratum III Level Frequency Stability TCXO. Low Phase Noise, Low Jitter, High Frequency Stability. Output: clipped sinewave or (LV)Cmos. Piezoelectric Crystal Sensor Product pages for Quartz Sensors : Quartz Crystal Microbalance (QCM) Monitor Crystal, Quartz Temperature Sensor, Force Sensor, Quartz Pressure Sensor. Various types Clock Oscillators, VCXO, TCXO, VCTCXO, OCXO with different output logic : HCMOS, LVPECL, LVDS, HCSL, Sine Wave.